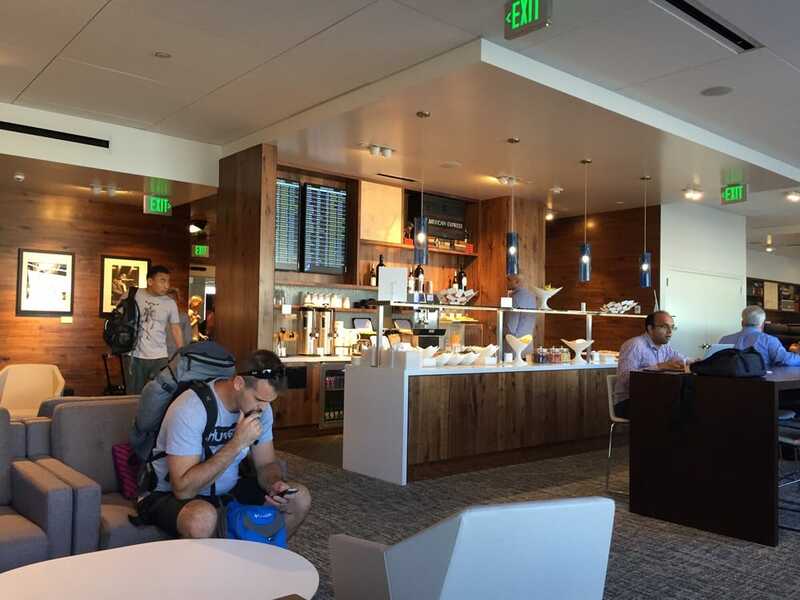 Seattle is my home airport and I fly out of it often, whenever I’m not flying Delta and using the Delta Sky Club the Centurion Lounge is my next go to lounge to take a load off and relax. 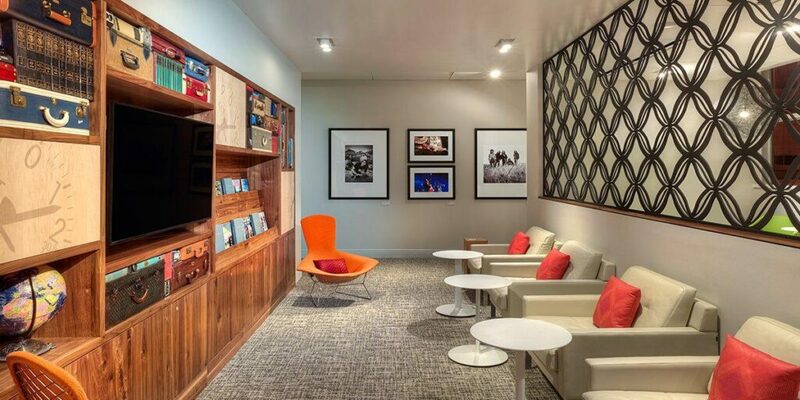 As of recent it got a remodel making it a true Centurion Lounge instead of a Studio that offers less amenities. Seattle is still up and coming in the international aviation world, Delta is trying to establish the airport as a major Asian hub but other international airlines are slow to adopt the airport for major operations. As such the lounges offered at the airport tend to be small and cater most to the short-haul traveler which results in a lower quality of food selection. 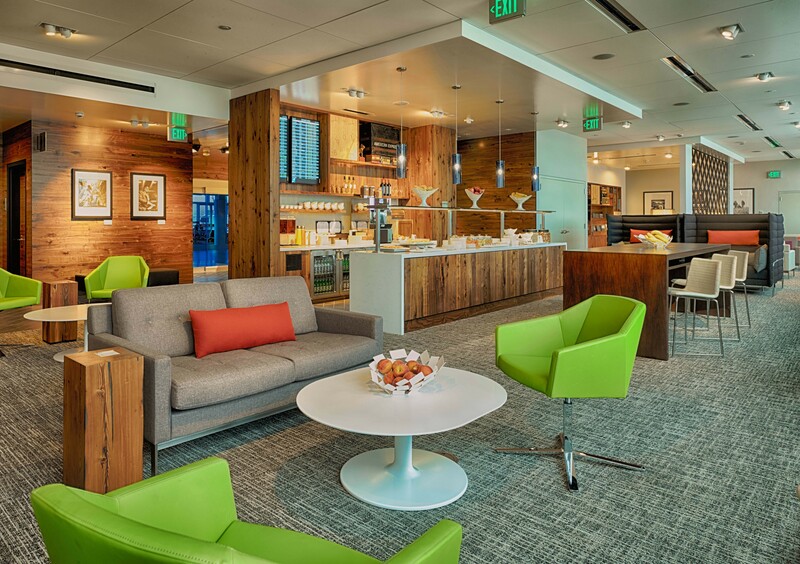 Along with the Delta Sky Club the Centurion Lounge aims to change that. I arrived at the airport around 6AM on a Saturday morning, I was surprised to see just a single employee working the counter to check people in. When I arrived there were only 3 people in-front of me and took maybe 5 minutes to check-in. The employee was very friendly and apologetic about the wait. Everything went smooth with the check-in and I was surprised to see so many people in the lounge that early in the morning. I estimate the space had around 80 people in the relatively small space. There were a variety of seats available including couches, lounge chairs, table and chairs, and private cubicles to get away from it all. The space isn’t very big overall and thus it was a struggle to find a good spot to settle down in a quiet area. I managed to grab myself a lounge seat that was placed nearby the food spread where most people walked, while it wasn’t ideal that’s all I managed to find. The lounge offers a variety of seating options in the small space, I particularly enjoyed the looks of the living room area with the large TVs and a place to kick your feet back. The bar area which was a separate space offered the only airport views available were lined with traditional tables and chairs for dining. For me it’s always a joy to lay back and watch the airport move but I managed to make it work. The breakfast spread was quite good, it offered a selection of yogurt, fruits, pastries, and a hot meal option which happened to be mini prepared egg rounds ready to eat along with oatmeal. The staff was constantly replenishing the food supply and during my two hour stay in the lounge I never noticed anything completely run out. The self service coffee machine was great, it offered the options of many major coffee based drinks including espresso, mocha, and even hot chocolate. With this being the busy time for the airport and the lounge it was a bit of a hip bump to move through the area and get the food that you’re trying to get at. 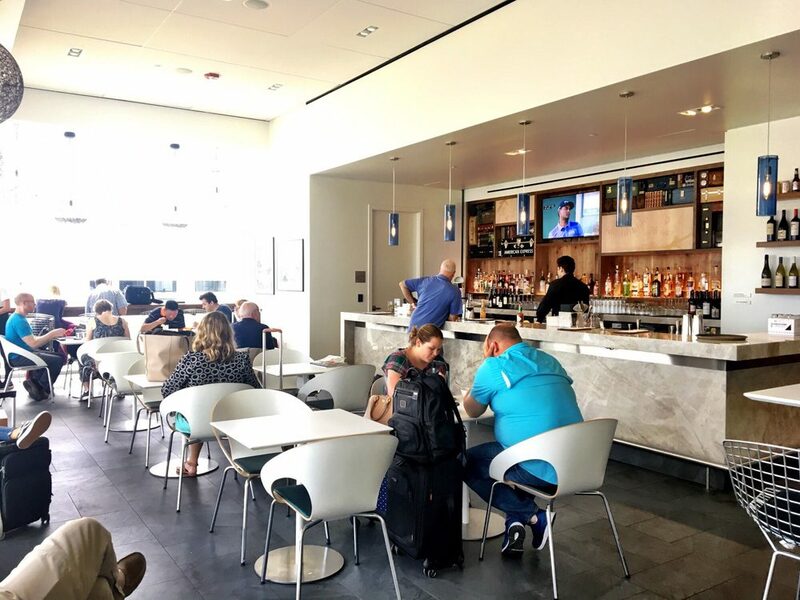 Something that I did notice at other Centurion Lounges but saw a lack of at the Seattle lounge was the cleaning staff actively picking up dishes. I’m used to my dishes being cleaned up in a relatively short time after finishing with them, with the Seattle lounge I ended up with my completely finished dishes sitting on the table in-front of me for the entire duration I was in the lounge. Wireless internet was fairly fast even at the busy time of the day for the lounge. Looking around I saw many people browsing around on their laptops but I was still able to load up a YouTube video and play it at 360p with no issues. I did notice some hiccups as I was browsing, some pages would load fast and then at times other pages would load slow. The internet offered in the lounge may have been struggling to cope with all the users connected to it at once. Without a doubt this is the second best lounge offered at the Seattle-Tacoma International Airport. It’s hard to beat the size and scale of the Delta Sky Club in Seattle but on the chances that I’m not on a Delta flight this will be my go to lounge. If you can find a quite place to relax this is the perfect lounge to get away from it all and rest up for your flight. The cozy atmosphere means that you aren’t overwhelmed with people and if you pick the right seat you won’t see another person until it’s time to leave. Being a full Centurion Lounge it offers all the amenities that you expect and friendly staff make you feel nice and at home. Without a doubt this is the second best lounge offered at the Seattle-Tacoma International Airport. It’s hard to beat the size and scale of the Delta Sky Club in Seattle but on the chances that I’m not on a Delta flight this will be my go to lounge.